+ On Wednesday of Holy Week, the ‘eve’ of the Sacred Triduum, it is good to take pause amidst our busyness with guests and preparations for ceremonies great and small, to ponder just a little what indeed we are doing in these days. For our small monastery these are audacious days: solemnly to celebrate the Holy Week rites anterior to the reforms of the 1950’s, to sing the whole of the Office, to welcome and care for numerous guests—these are things before which monasteries much larger than we would recoil, particularly in these days. But in celebrating these rites for a second year, in communion with our bishop and through him with the Universal Church, in putting nothing before the Work of God and in welcoming guests as we would welcome Christ, even if we are seemingly doing these things somewhat disproportionately at present, we are doing nothing more than living our vocation in the life of the Church, albeit more intensely. And in so doing we can be sure that we shall not fail to experience something of that expansion of heart, of that unspeakable joy of which Saint Benedict speaks in the Prologue of the Holy Rule. It is crucial, though, that amidst our many right, good and necessary activities in these days we do not become activists. Our vocation calls for a recollection, an interiority, which is nothing less than the fertile soil in which the many graces which these privileged days offer can take root and grow. So too, a fruit of such rootedness in the great mysteries we celebrate will be a profound charity from which a patience with, and love for, ourselves and others in respect of the frailties that our efforts to dare to do as much as we can in His praise inevitably bring to the fore. And indeed, our focus on the mysteries we celebrate, keeping our eyes on He whose suffering, death and resurrection redeemed us, will enable us to leave aside and indeed behind the useless criticisms and jealousies that arise—unfortunately sometimes from those we would wish to count as friends—because a handful of monks and a modest but growing number of their guests seek to worship Almighty God in a richer, more contemplative form of the Sacred Liturgy. Such petty quibbles have no place in these privileged days. 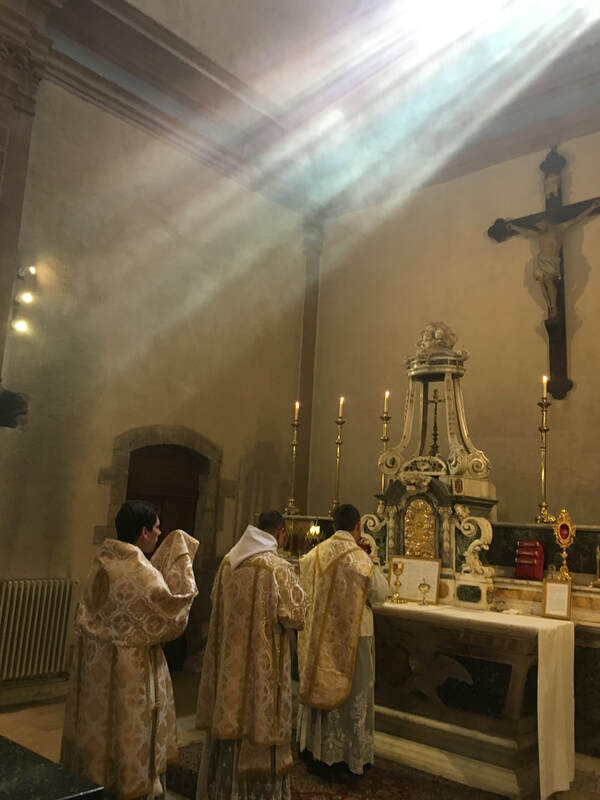 Let the radiance of the truth, beauty and goodness of what we are celebrating cast the light of Christ on such shadows and disperse them, and their causes, once and for all. For regardless of—or indeed because of—our own brokenness, or the myopia of others, our duty is to follow Christ to Gethsemane, to walk with Him to Calvary, to lie in His tomb and indeed, to arise in the unique salvific glory of Easter morn. In so doing I repeat the request that I have made throughout Lent and Passiontide that we keep two particular intentions to the fore: that, in God’s Providence we shall receive the material means necessary with which to restore monastic life to the ancient Commandery in Brignoles—perhaps the next Triduum shall be the first it has seen in some hundreds of years?—and that Almighty God will assist those discerning their vocation to come to that point where, regardless of all the ‘pros and cons’, they have the grace to take the necessary steps formally to test it. + En ce Mercredi Saint, veille du Triduum Pascal, il est bon de prendre un peu de temps, malgré notre affairement a accueillir nos hôtes et préparer toutes sortes de cérémonies plus ou moins solennelles, pour nous rappeler pourquoi, au juste, ces jours-ci sont si chargés. 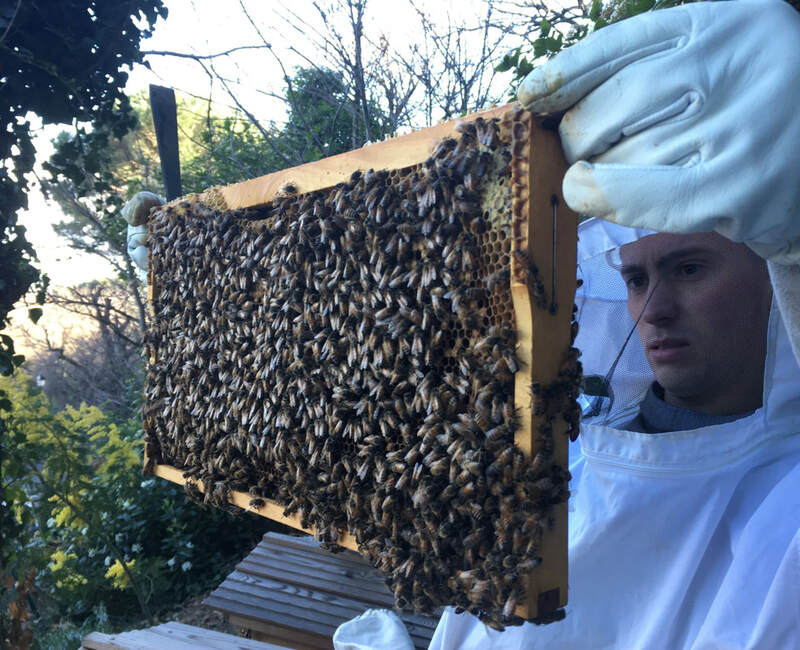 Pour notre petit monastère, c'est une séquence de bravoure ; célébrer solennellement les rites de la Semaine Sainte antérieurs aux réformes des années cinquante, chanter l'intégralité de l'Office, et en meme temps accueillir et prendre soin de nombreux hôtes, voilà qui découragerait plus d'un monastère plus important que le nôtre, surtout de nos jours. Mais en célébrant ces rites pour la deuxième annee consécutive, en communion avec notre évêque, et, par lui, avec l'Eglise universelle, en ne préférant rien à l'Œuvre de Dieu ; en accueillant nos hôtes comme nous accueillerions le Christ lui-même, même si nous pouvons actuellement paraître faire ces choses avec quelque démesure, nous ne faisons que vivre notre vocation dans la vie de l'Église, quoique plus intensément. Et, ce faisant, ne doutons pas que nous vivrons un peu de cette dilatation du cœur, de cette joie indicible dont Saint Benoît parle dans le Prologue de la Sainte Règle. 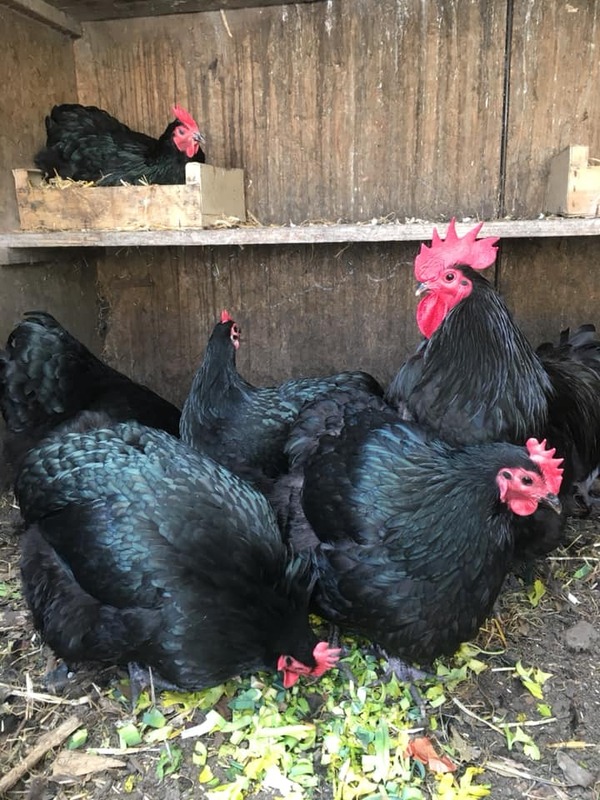 Il est absolument nécessaire, cependant, qu'au milieu de ces tâches, quelque justes, bonnes et requises qu'elles soient, nous ne devenions pas des activistes. Notre vocation demande la recollection, l'intériorité, qui ne sont rien d'autre que le sol fertile dans lequel les nombreuses grâces offertes par ces incomparables jours peuvent s'enraciner et fleurir. Ainsi enracinés dans les grands Mystères que nous célébrerons, nous ne manquerons pas de porter un fruit particulier et profond de charité, manifesté dans la patience envers nous-mêmes et le prochain, considérant le peu que constituent, au final, nos efforts pour oser faire autant que nous le pouvons dans la louange de Dieu. Cette attention portée au Mystères que nous célébrons, les yeux fixés sur Celui dont les souffrances, la mort et la Résurrection nous ont rachetés, nous empêchera de prêter l'oreille aux critique inutiles et aux jalousies (venant parfois, hélas, de personnes que nous aimerions considérer comme des amis) suscitées quand quelques moines, et un nombre restreint mais grandissant de leurs hôtes, cherchent à offrir à Dieu une liturgie plus riche, plus contemplative. 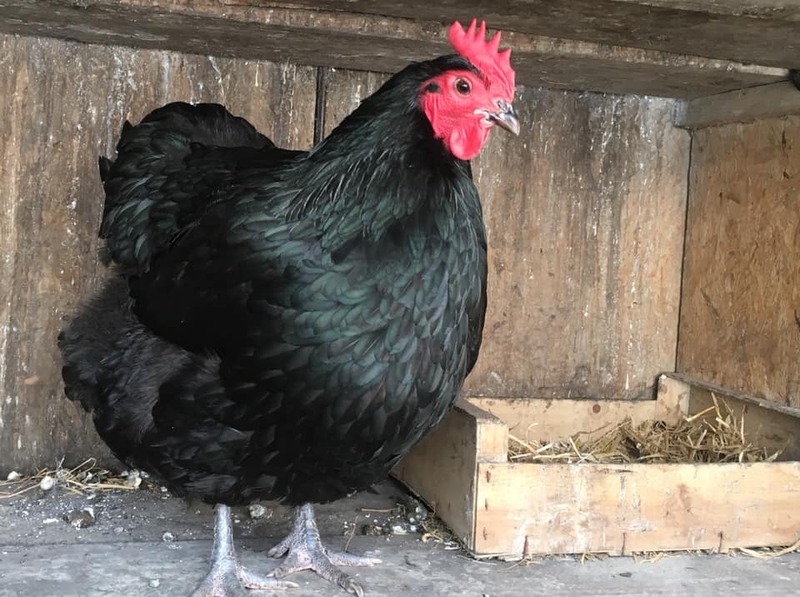 De telles chicanes doivent être bannies de ces jours saints entre tous. Que la clarté de la vérité, de la beauté et de la bonté de ce que nous célébrons illumine ces ombres de la Lumière du Christ et les disperse définitivement, ainsi que ce en quoi elles ont leur origine. 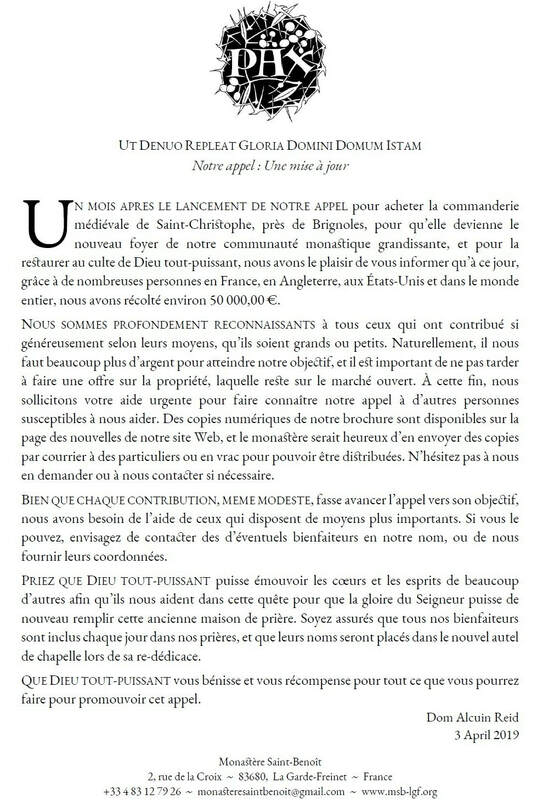 En tout cas, nous avons le devoir, sans nous laisser décourager par notre faiblesse (mais en la combattant plutôt) ou les esprit chagrins, de suivre le Christ à Gethsémani, de marcher avec Lui jusqu'au Calvaire, de nous coucher avec lui dans le Sépulcre, afin, finalement, de ressusciter dans la gloire salvifique de la nuit de Pâques, sainte entre toutes. 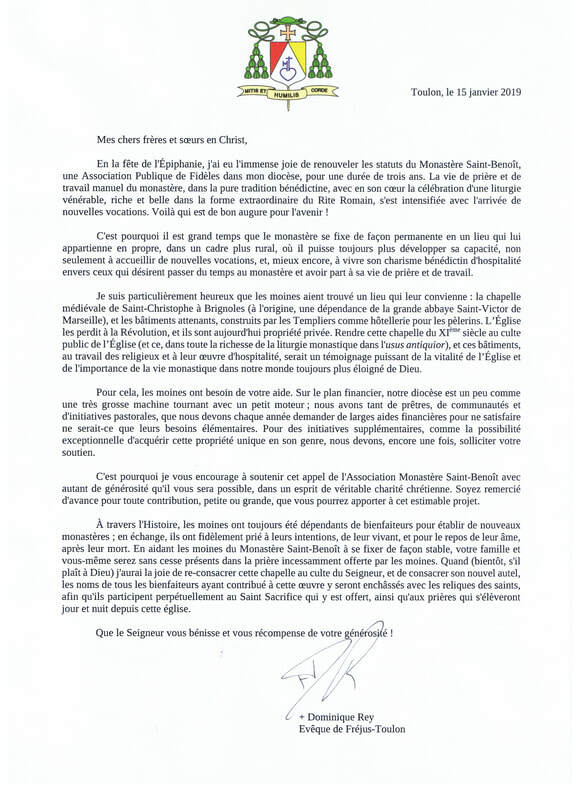 Après la messe conventuelle ce matin, la communauté et ses hôtes ont prié le Stabat Mater pour les intentions de l'Archevêque, di clergé et des fidèles de Paris et de toute la France, recourant à l'intercession de la Bienheureuse Vierge Marie en ce moment douloureux. Que résonne à nouveau dans Notre-Dame la louange du Seigneur, et que Sa gloire la remplisse ! 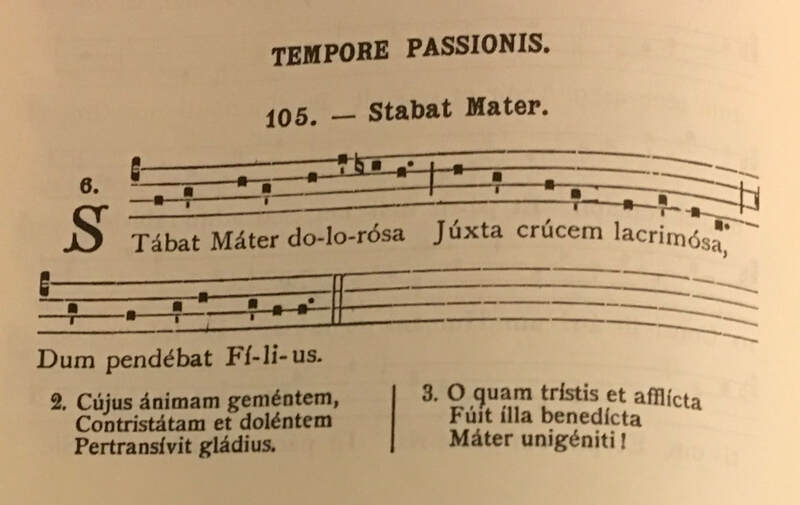 After Conventual Mass this morning the monastic community and guests prayed the Stabat Mater for the intentions of the Archbishop, clergy and faithful of Paris and of France, seeking the intercession of the Blessed Virgin Mary in this time of great distress. May Notre Dame de Paris once again resound with the praises of Almighty God and be filled with His glory! 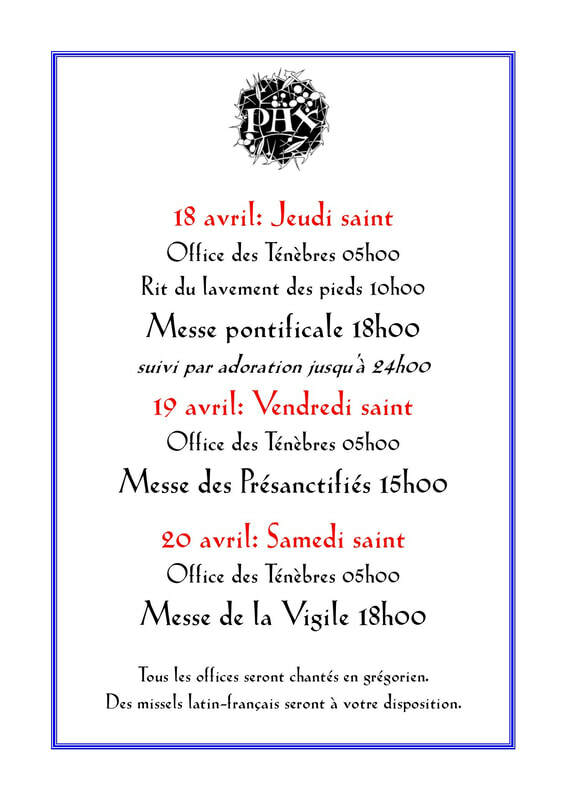 Pour toutes les heures des offices de la Semaine Sainte, voir le PDF ci-dessous. 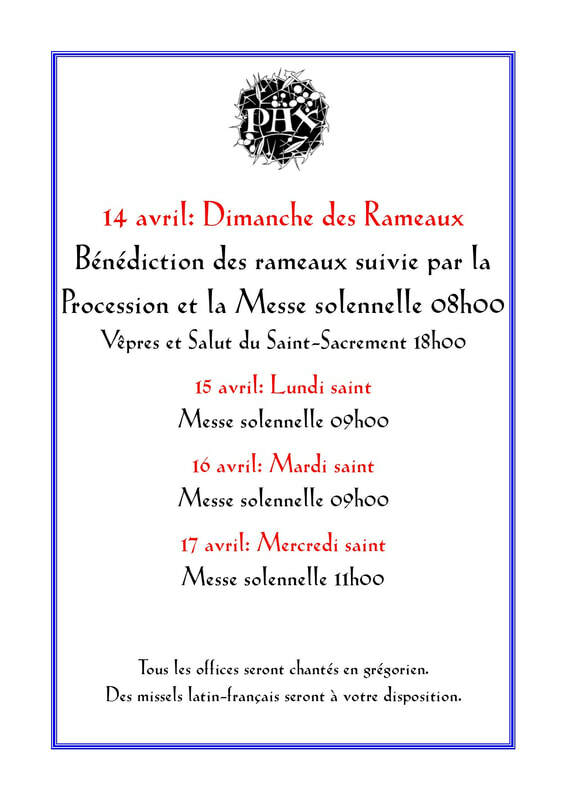 À noter: la messe solennelle de la journée du jeudi saint (18h00 - usus antiquior, Missale Romanum 1953) sera une messe pontificale au trône célébrée par Mgr Dominique Rey, évêque de Fréjus Toulon. For all of the times of the Holy Week ceremonies, see the PDF below. 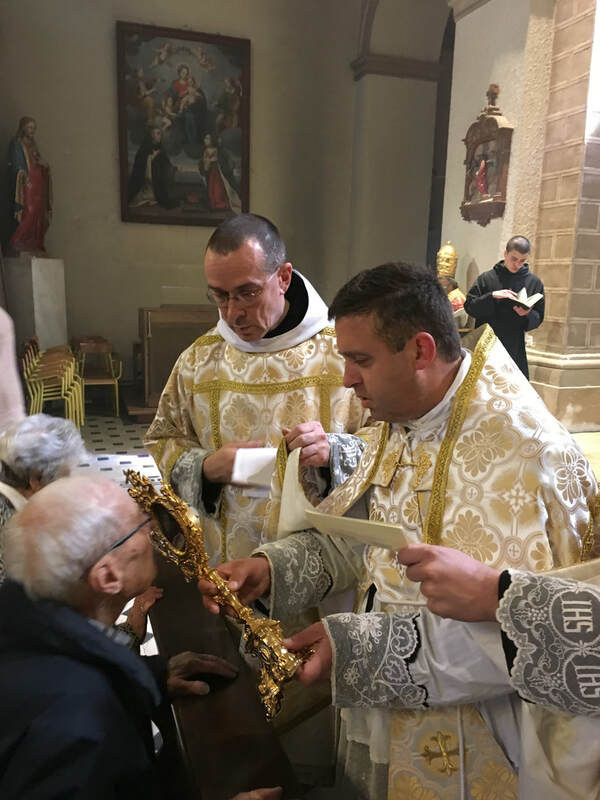 Please note: the solemn Mass of Holy Thursday (18h00 - usus antiquior, Missale Romanum ​1953) will be a pontifical Mass at the Throne celebrated by Msgr Dominique Rey, Bishop of Fréjus-Toulon). Now this woman was utterly guilty of grave sin: caught in the very act of committing adultery as the Gospel records. Indeed, in some ways this gospel is more ‘scarlet’ than ‘purple’. 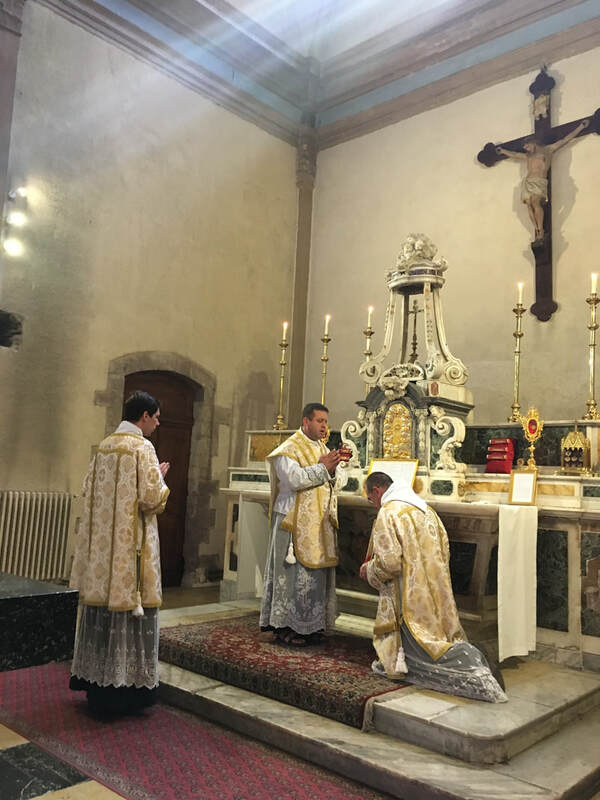 And yet, for this guilt-ridden adulteress there is mercy and forgiveness—nothing less than the meek and tender love of Christ Himself, as Saint Augustine so beautifully underlined at matins on Saturday morning. Whether our sins are or were similarly salacious, shameless or even scandalous—or not—the Gospel of Our Lord Jesus Christ faithfully taught and proclaimed in the one Church founded by Our Blessed Lord Himself throughout the centuries down to our own day insists that this generous, loving, restorative forgiveness is available to all to seek it with a sincere heart (but, indeed, that it is not forced on those who do not). It is interesting that the Gospel itself does not record the woman’s penitence: she did not arrive at remorse or regret for what she had done—she had little time for this! She was undoubtedly terrified at her impending ignominious execution. Hers may very well have been quite an imperfect contrition, and yet the Lord’s grace was superabundant. Nevertheless, it was not ‘cheap grace’. Her unusual and singular encounter with Our Lord brought her not condemnation, but forgiveness—with, however, the injunction: “iam amplius noli peccare.” Henceforth sin no more. 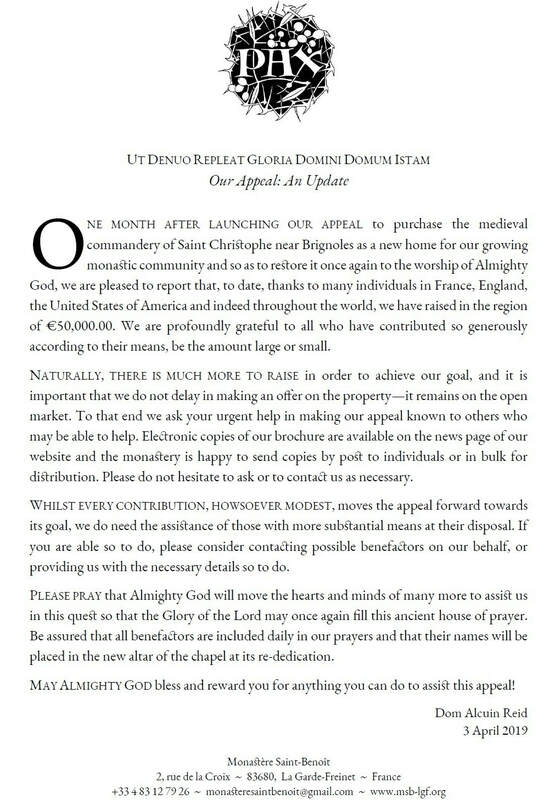 Here is the call to radical conversion which is at the heart of the Gospel, at the very heart of all that the Church has done throughout the centuries and shall ever do whilst this world lasts: the call to accept the mercy and forgiveness won for us by the unique Saviour and Lord of all, Jesus Christ, and henceforth, to resolve to sin no more. 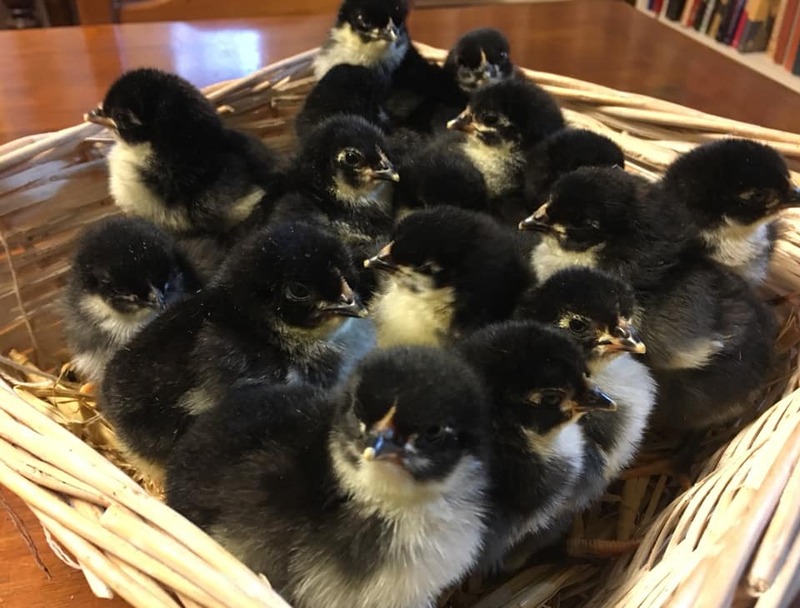 The world, the flesh and the devil don’t make the latter particularly easy for any of us, of course, and that is why some of us (need to) seek the discipline of the monastic life. 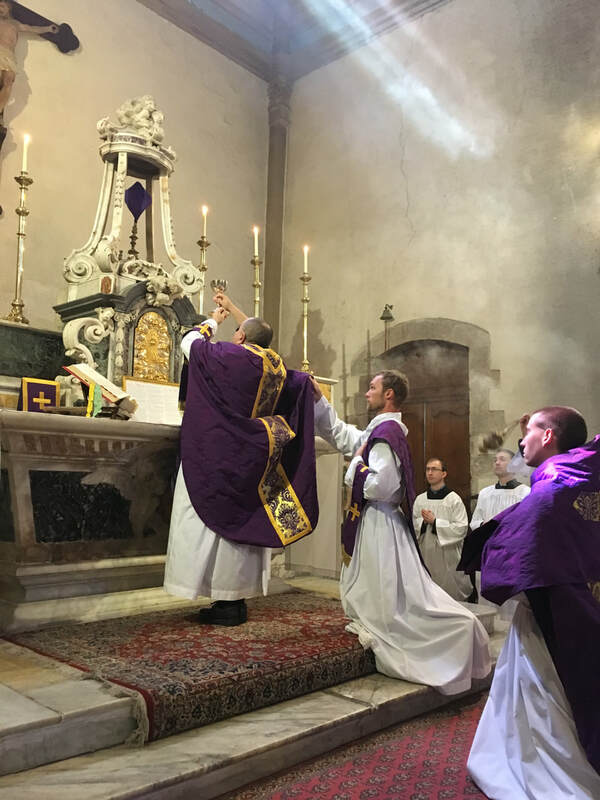 It is why the whole Church observes this sacred season of Lent as a period of purification and further training in the ascetical life. Please God, as a result of the graces to which our penitential practices have opened our hearts and souls this Lent, we are making at least some progress in fulfilling the Lord’s injunction. Last evening’s Magnificat antiphon was, of course, the Communion antiphon at Mass also—most appositely, no? For who may worthily approach to eat of the Bread of Life save those to whom the Lord has said: “Nec ego te condemnabo”. 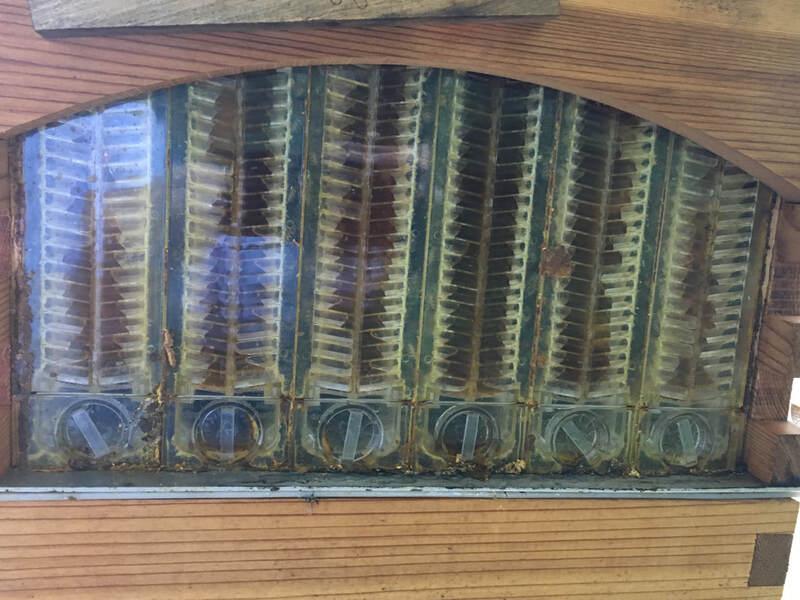 And what else do we have to sustain us in our efforts to avoid future sin other than this very Bread, His Flesh, given for the life of the world (cf. Jn 6:51). 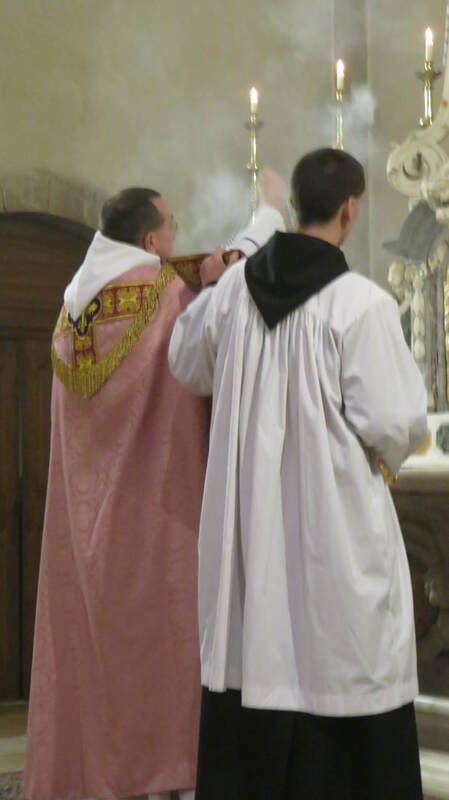 In the light of His mercy and of the grace which He offers us to strengthen us in His service we can don rose vestments, we can joyfully sing the “Laetare” of this morning’s Introit. Amidst all that we must face personally, communally and as the Church in the world there is still very much—indeed, ultimately, far more--about which to rejoice. This morning’s Gospel, too, ought to give us hope and much about which to rejoice. What indeed can one do with but five barley loaves and two fish when faced with a great multitude of hungry people—about five thousand of them? We can do little except present the meagre resources we have to the Lord. But His blessing can do all. 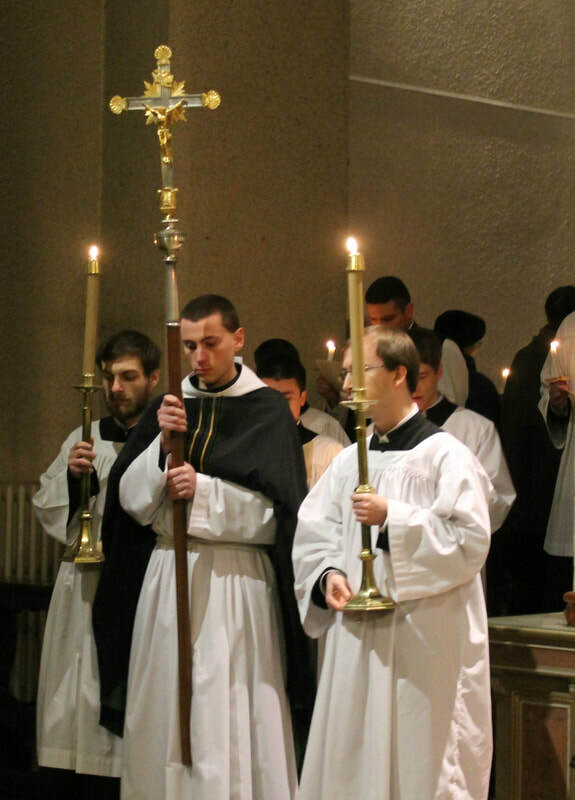 My brothers, we see this miracle in our midst, in our little monastery, where we are few and yet, with the Lord’s blessing good and indeed great things occur when, in faith, we present to Him our all and leave unto Him that which he will do with it. 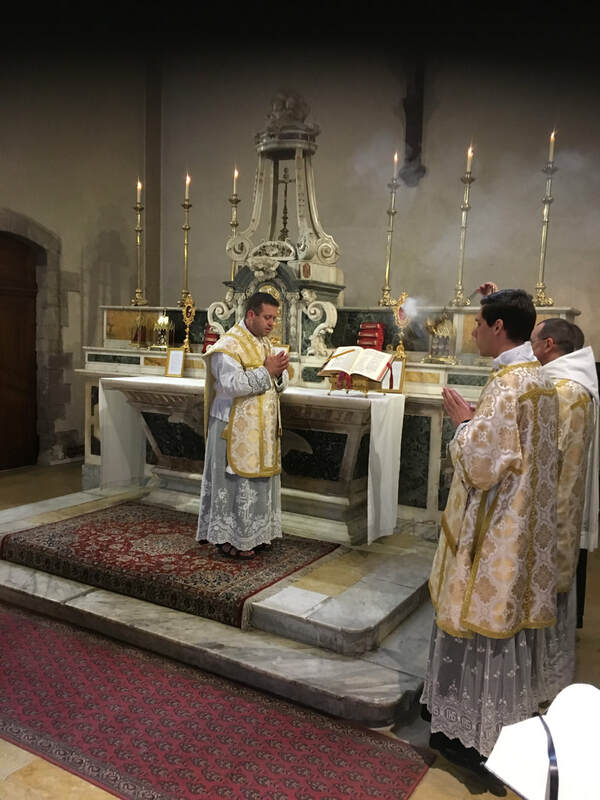 This reality is so profound that today the Sacred Liturgy almost stammers in its face—the antiphons for Terce and Sext can speak of nothing else. Let us not neglect to ponder its import in respect of ourselves and our vocation, and in respect of the means that are at our disposal in seeking to live it. Let this Truth motivate us to continue to bring what we have, howsoever modest, to the Lord that he might do with it what He will. What the woman caught in adultery brought to the Lord—when she was literally dragged to Him—was sin and guilt. She received mercy, forgiveness and a clear indication of how to live in the future. The boy in today’s Gospel presented the Lord with a few loaves and fish. He saw them feed thousands of hungry people. Let us pray today that we, our family, friends and benefactors, that the Church, may come to know and daily live from the realities of God’s mercy and of His Providence, in the words of today’s Collect: “ut, qui ex merito nostræ actiónis afflígimur, tuæ grátiæ consolatióne respirémus;” - that, in spite of the punishment that our sins deserve, we may breathe anew by the consolation of God’s grace. 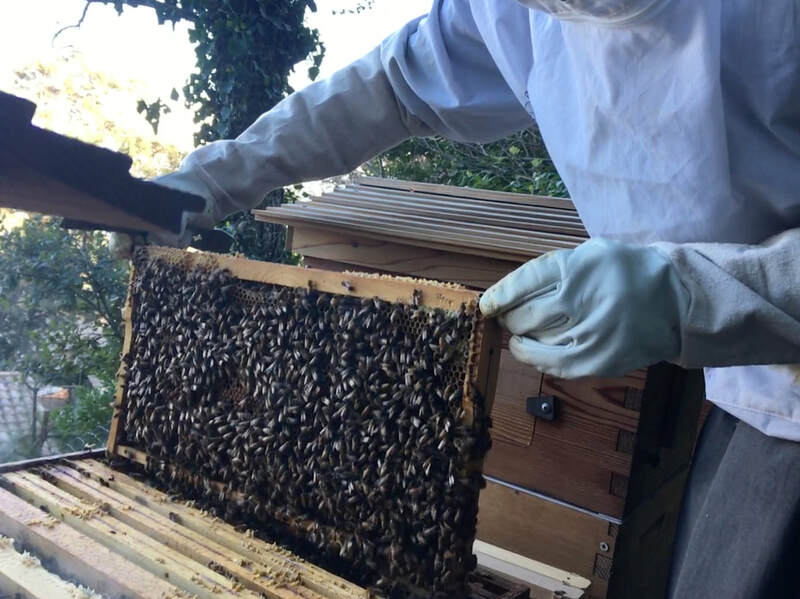 Our chickens and our bees have made a very good beginning to the new season. 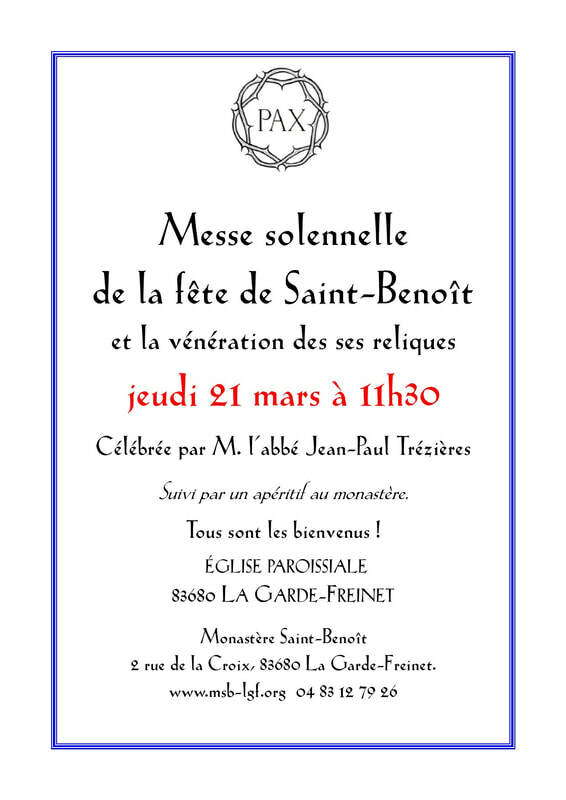 for the "Monastere St Benoit - South France"
and include their name and address for the tax receipt. and each January will send a text receipt for the whole previous year. Personal data of donors will be stored according to the rules of the GDPR. eine Spendenbescheinigung für das Finanzamt erhalten. und schreiben Sie im Verwendungszweck „für das Kloster St. Benoit, Südfrankreich“. Bitte geben Sie außerdem Ihren Namen sowie Ihre vollständige Postadresse an. Sie erhalten dann jeweils im Januar eine Jahresspendenbescheinigung für das Vorjahr. 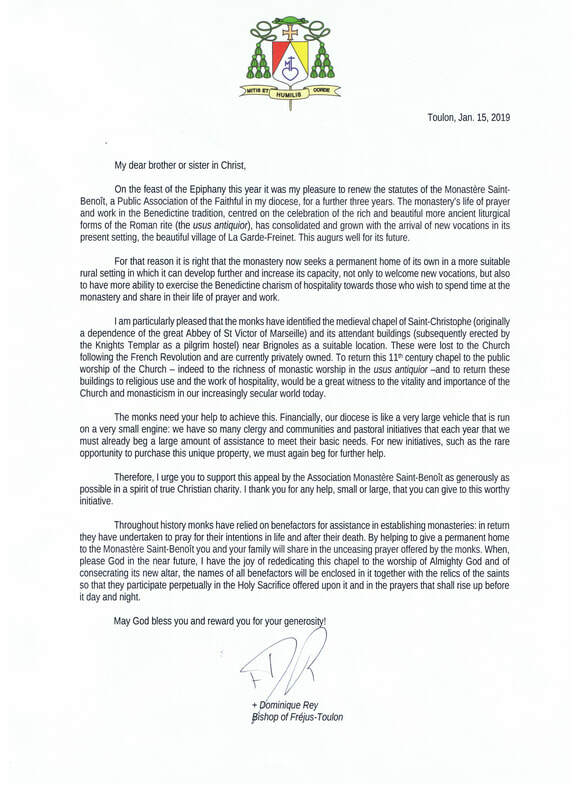 Die Laienvereinigung leitet diese Spenden direkt weiter an das Kloster St. Benoit. Personenbezogene Daten (Name, Adresse) der Spender werden gemäß der DSGVO gespeichert.